The Promised Neverland First Trailer Streamed. 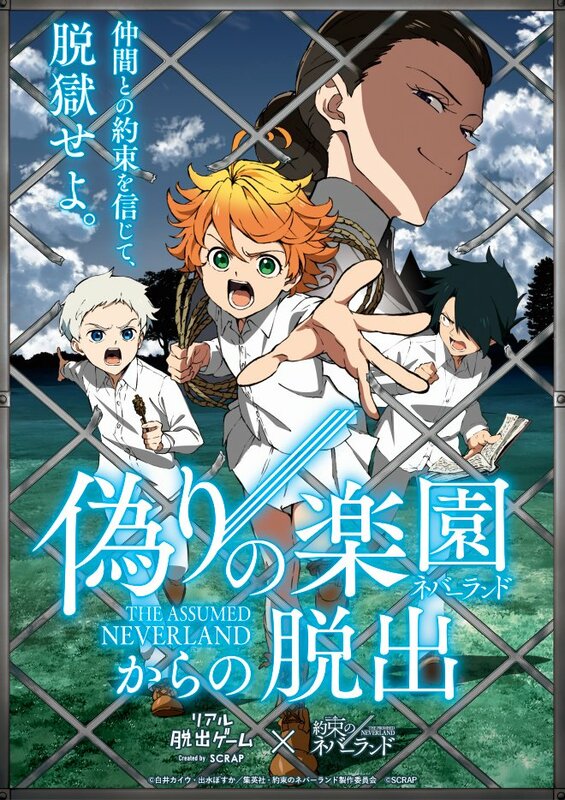 Kaiu Shirai and Posuka Demizu’s The Promised Neverland (Yakusoku no Neverland) revealed during their panel at the Jump Festa ’19 event on Saturdaythe first promo video for the television anime adaptation of their manga series. The anime will premiere 10th January 2019 on Fuji TV’s Noitamina programming block. The anime series will be directed by Kyohei Ishiguro(KimiUso) and Yoshitoshi Shinomiya (Your Name Flashback Scene Unit Dir). Masayoshi Tanaka (Darling in the Franxx) will is charge of character design at CloverWorks. Yuichi Fukushima will serve as the show producer with Produce the show. Kaiu Shirai and Posuka Demizu released The Promised Neverland (Yakusoku no Nebārando) manga series in Weekly Shōnen Jump August 1, 2016. In January 2018, the manga won the 63rd Shogakukan Manga Award in the Shōnen category. As of April 4, 2018, the first 8 volumes had 4.2 million copies in print. My Hero Academia Season 4 Promo Video.